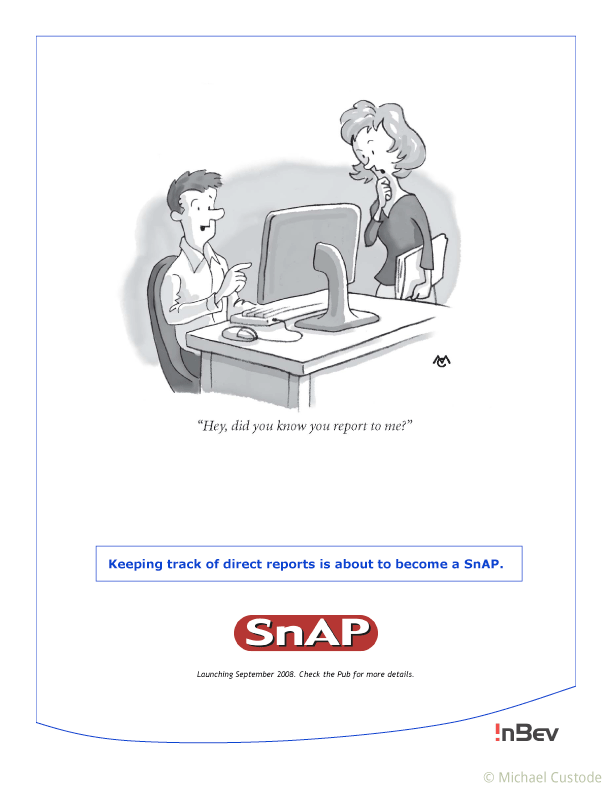 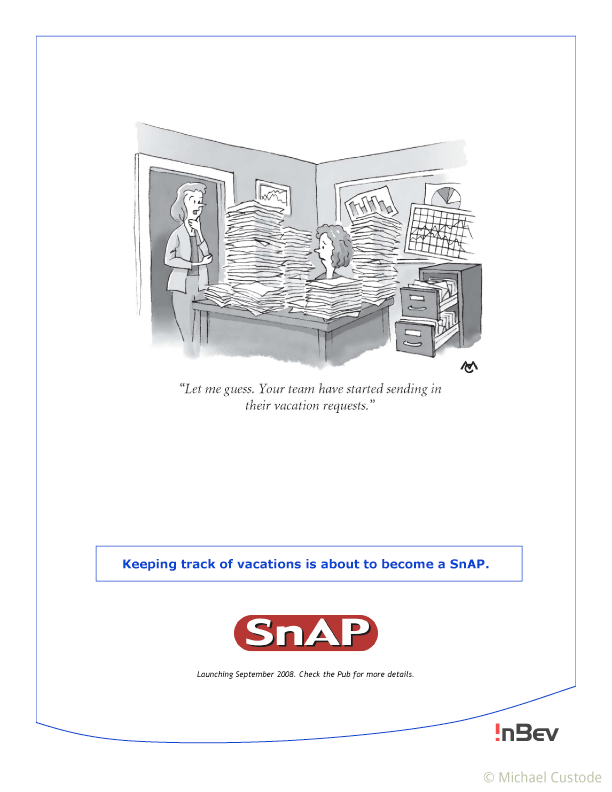 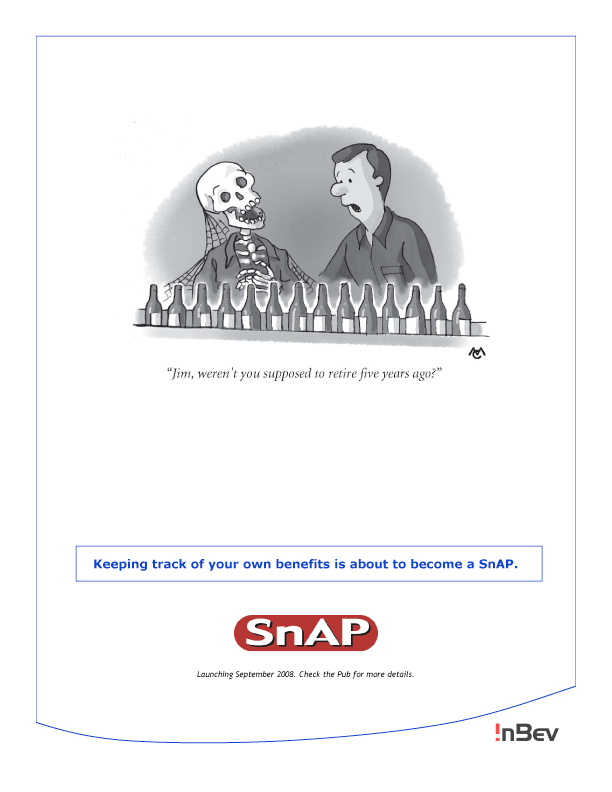 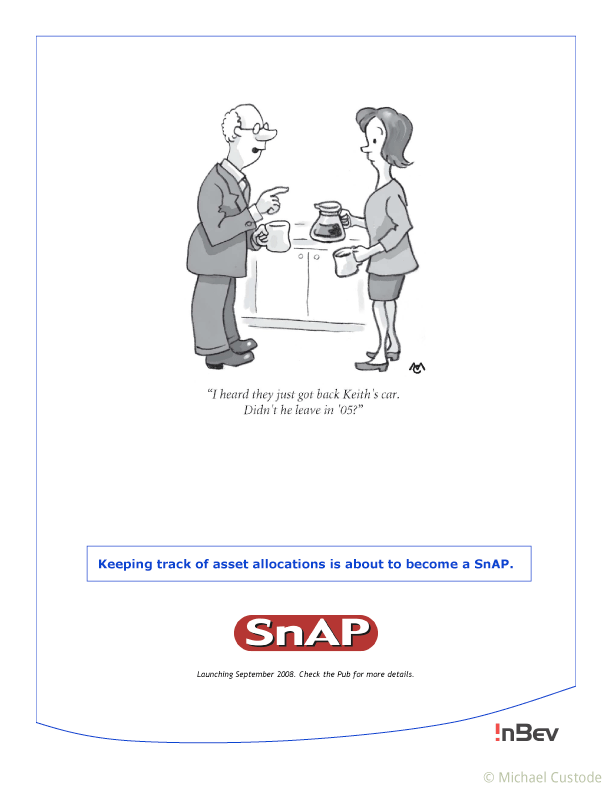 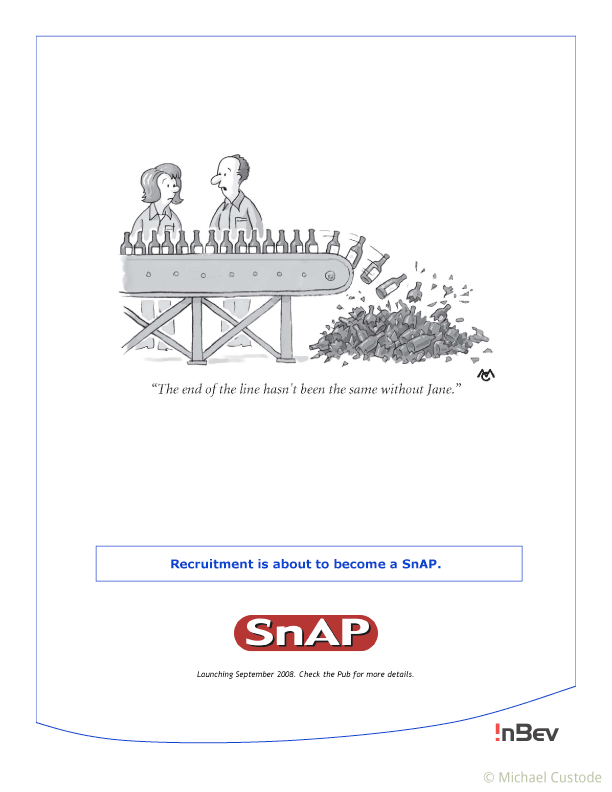 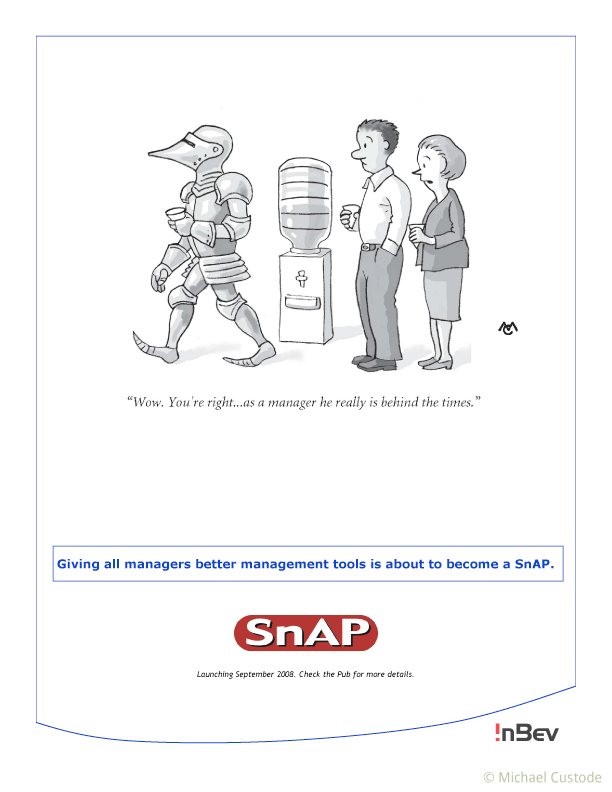 A series of cartoons I did to promote SnAP, a new management program for InBev. 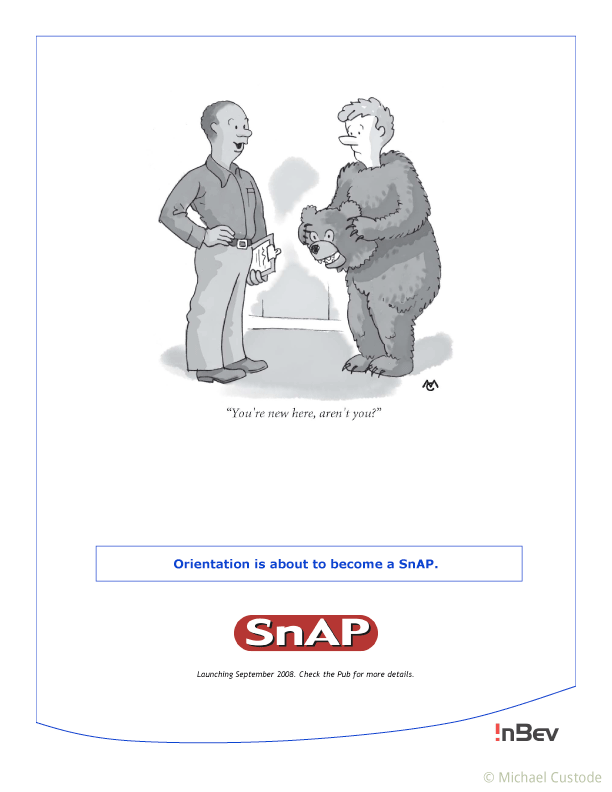 Writing and art direction, Lee Downs, Amoeba Communications. 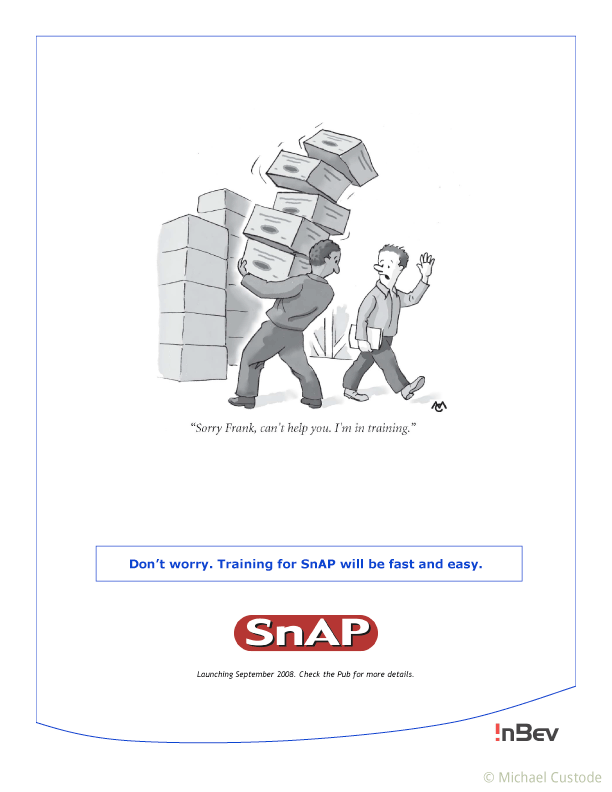 Media: pencil, scanned and watercolour effect added in Photoshop.